Jackson State University strives to provide its students, faculty, staff, and visitors with a safe and secure environment. To enhance the safety and security of the campus community, faculty, staff, and students are required to obtain a University issued photo identification card. The University issued photo identification card will serve as the official means of identification for Jackson State University. Jackson State University (JSU) considers the University issued photo identification card an important component in developing and maintaining a secure campus environment. In conjunction with the measures implemented by the Jackson State University Department of Public Safety (JSUDPS) campus security system, the University mandates that all faculty, staff, and students (part-time or full-time) display his/her identification card, visibly and clearly at all times, while on campus property. It is every faculty, staff, and students’ obligation to help keep the campus safe for everyone. 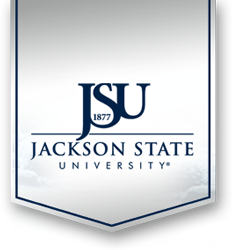 The Jackson State University card is a multi-purpose card. Its primary function is to serve as an identification card for all faculty, staff, and students. However, JSU has partnered with Off Campus Advantage to create a debit program known as the JSU Supercard Program. The JSU Supercard provides access to numerous venues throughout the campus and off campus for certain purchases.